Don’t you just love these cute doggies? Especially the one with the lifesaver! So adorable! 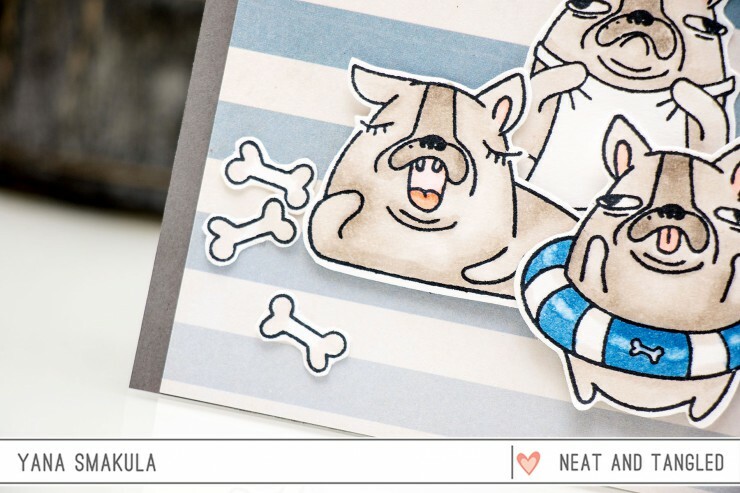 Sentiments are perfect to go along with the images, loving the “Pawesome Day” one, so clever! 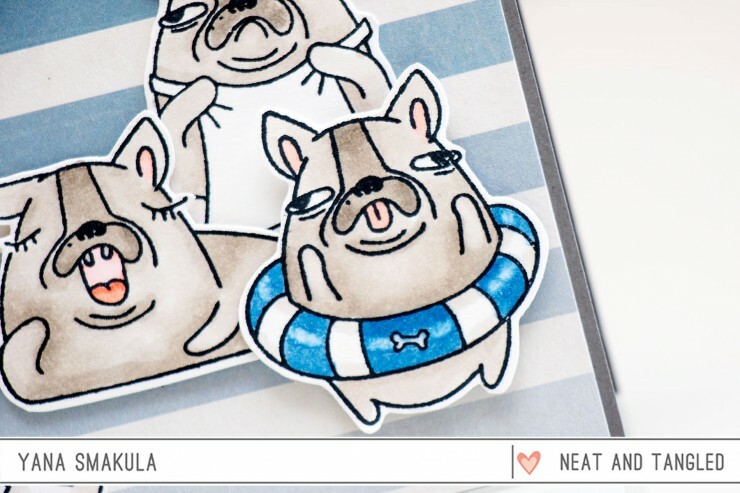 I stamped my dogs using Memento Tuxedo Black ink and colored them using Copic markers. 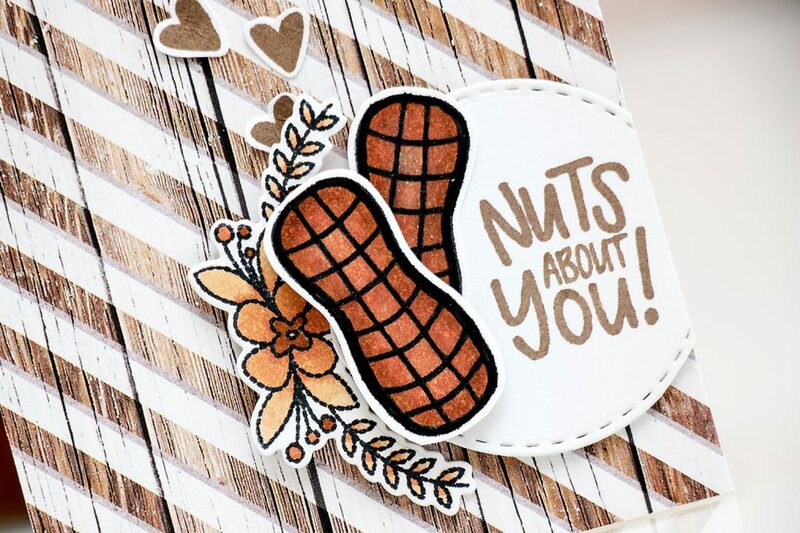 My second project, I’m nuts about you features a No Nuts stamp set. I used some patterned paper from my stash, layered a die cut circle and foam mounted Copic-colored nuts on top. I also incorporated a little floral from the Hand Stitched stamp set and also added a few stamped hearts. Great trio of dogs on the first and I just LOVE the second card, what a great way to combine No Nuts and Handstitched! 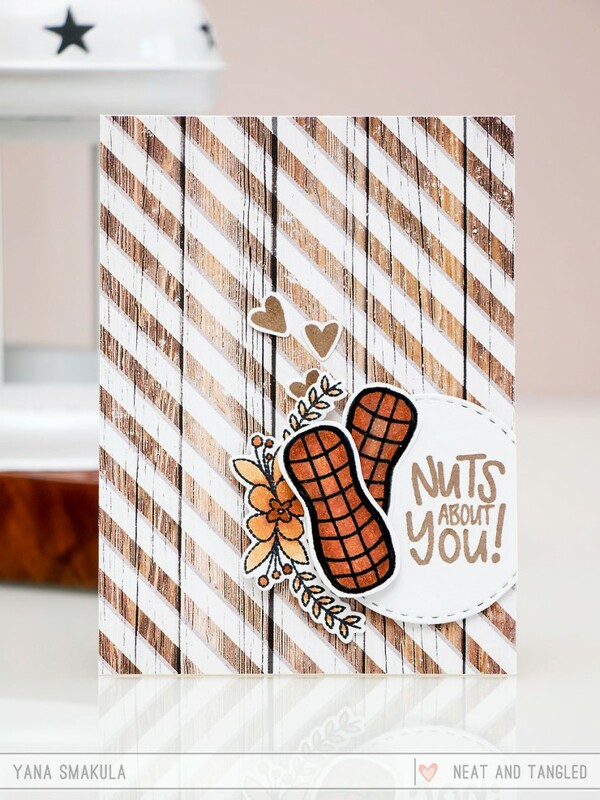 Love them both but the No Nuts card…that is AWESOME. 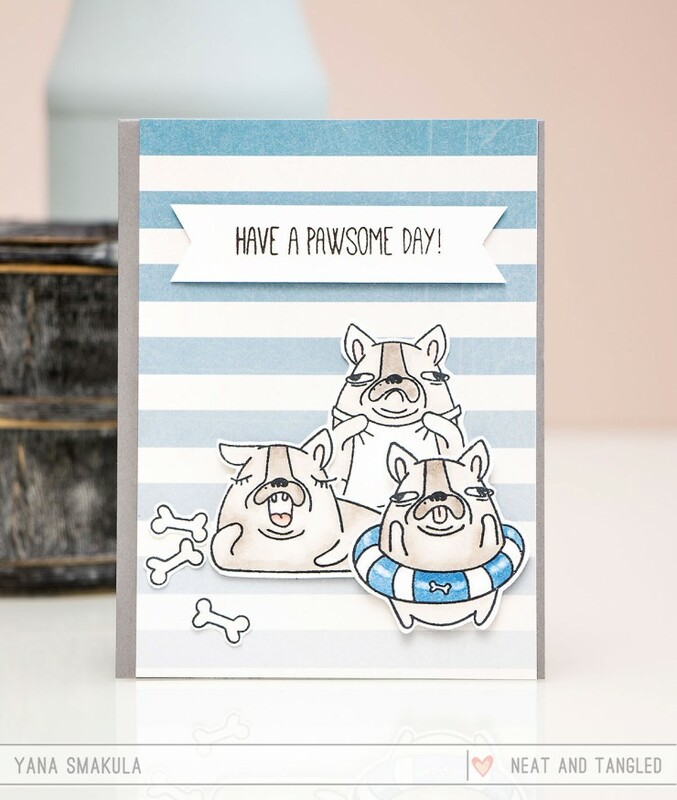 These dogs are … strange :)) but you managed to turn them into a cool card ! 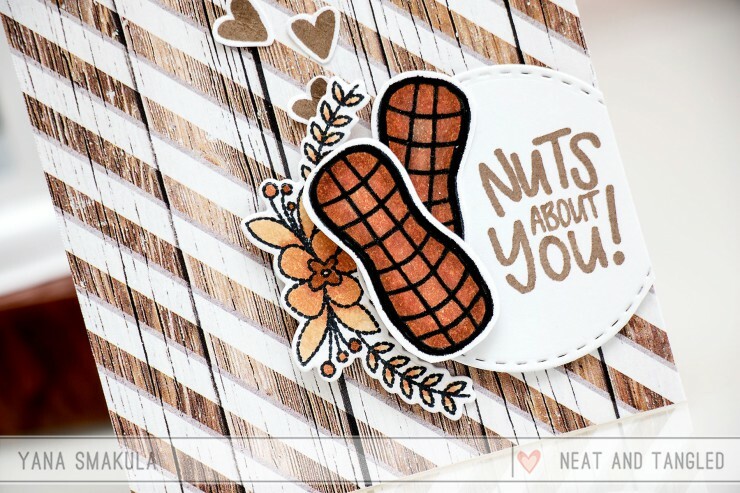 And nuts card – so awesome! haha! indeed 🙂 thank you!